Many have asked me to make freekeh and make it light too. 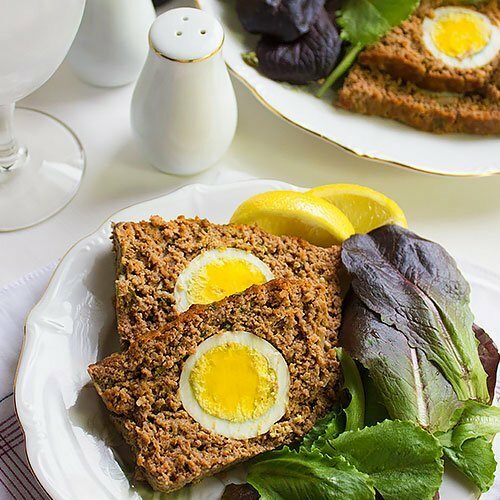 My Freekeh with Chicken is one of the popular posts on my blog, so I thought why not make a lighter version of it and share Freekeh with Fish? I chose fish since it is low in calories, filling, and healthy. This dish will make you feel full and I mean really full, but the best part is that you won’t feel guilty about it. With only 397 calories, you can have a small bowl of salad on the side, and there you have a complete meal. And why you should eat freekeh? 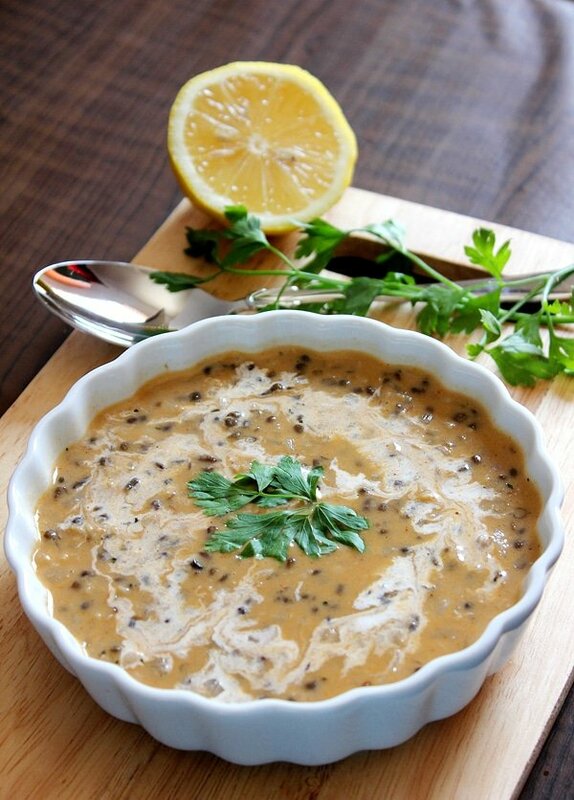 Because it is a great source of protein, it is high in fiber and low in carbohydrate, rich in lutein and zeaxanthin (They work on protecting your eyes), and it is good for your digestive system. If you want to lose weight and love to eat rice, then freekeh is a great substitute. 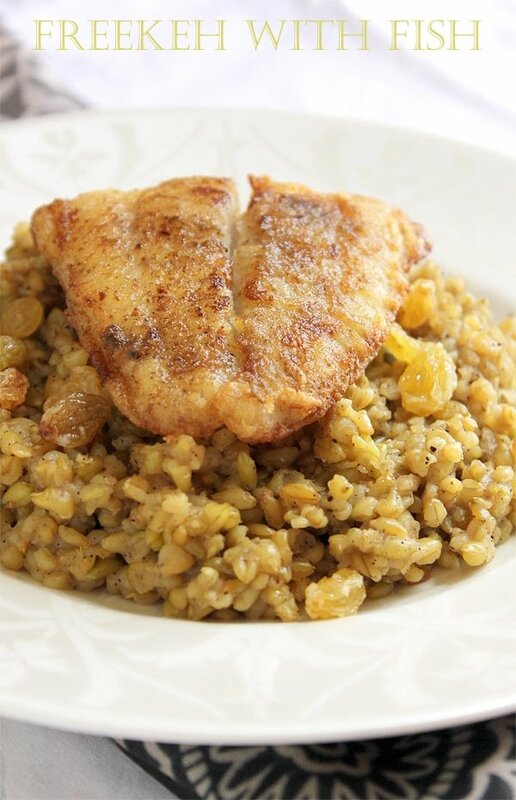 Use freekeh instead of rice in your favorite dishes and you might actually decide to switch! - Wash the freekeh with cold water and rinse. - In a hot pan, add the olive oil and when hot add the onion and fry until translucent. - Add the freekeh and stir for 2 minutes on medium heat. - Add the spices and stir for few seconds. Pour the boiling water. - When it comes to a boil add chicken bouillon and stir. Cover the pan tightly and let it cook on very low heat. 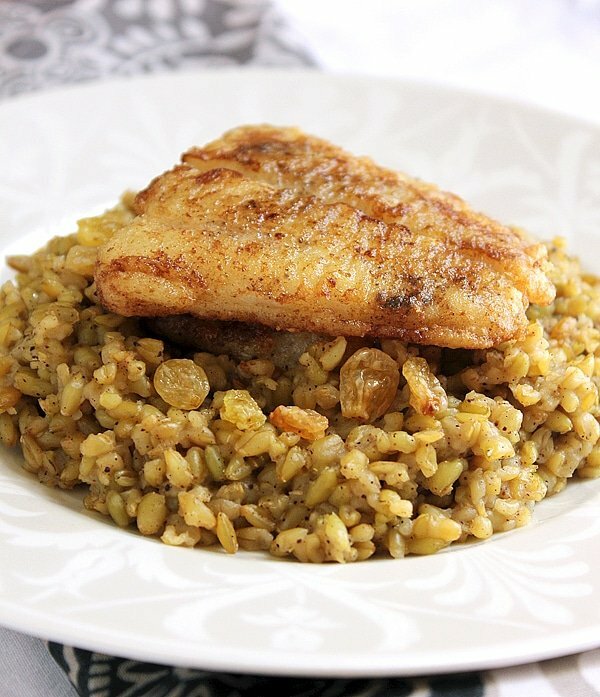 - It will take around 40 to 50 minutes for the freekeh to cook. Check on it and stir occasionally to prevent it from sticking to the bottom of the pan. - Season both sides of the fish with black pepper and salt. - Dredge the fish in the flour to coat both sides. - In a frying pan, add the oil and butter. - Fry the fish. It will take around two minutes on each side, also cooking time depends on the thickness of the fish. 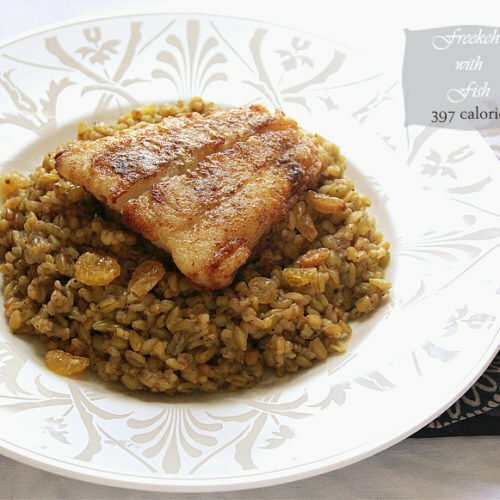 - Serve freekeh with fish on top. Garnish with raisins. Note: There are two types of freekeh, cracked grain and whole grain. The cracked grain takes around 15 minutes to cook, while the whole grain can take between 45 – 50 minutes to cook. Love freekeh too and this looks wholesome, Muna.